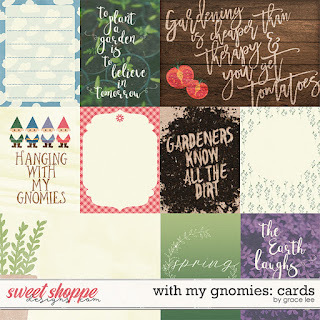 Designs by Grace Lee: New Release: With My Gnomies! 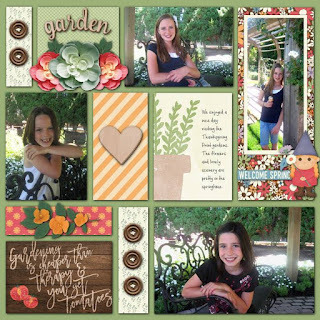 Dreaming of spring and the garden! 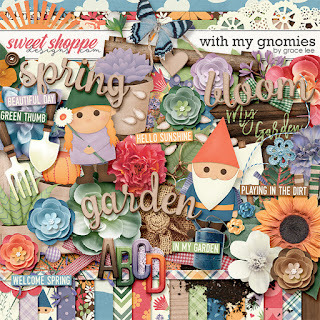 With My Gnomies is blooming with springtime fun and cuteness. 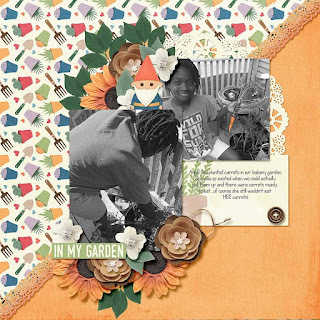 It's time to get out in the yard and plant your garden. 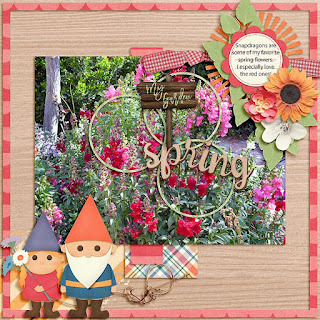 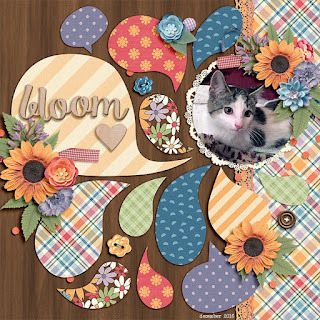 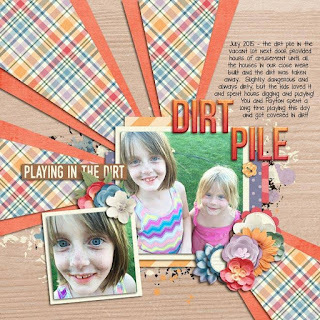 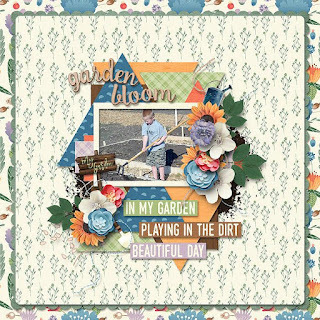 Don't forget to take pictures though, so you can create gorgeous scrapbook pages with this flowering kit full of earthy elements and adorable little "gnomes"! 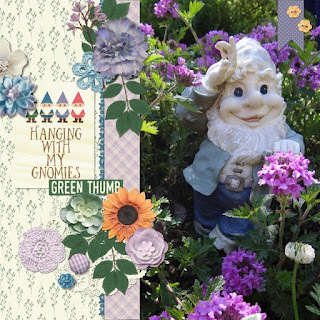 With My Gnomies: Cards contains 10 journal cards (8 3x4 and 2 6x4). 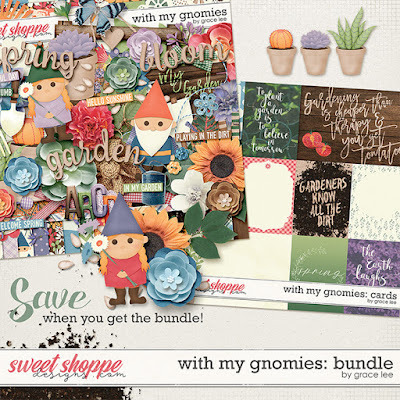 With My Gnomies: Bundle contains the kit and journal cards. 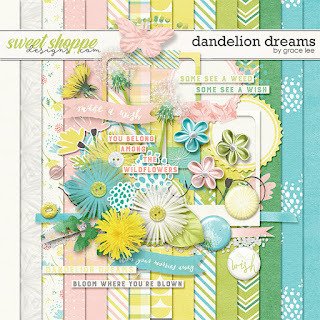 Dandelion Dreams is the perfect kit for you if you, like me, love dandelions. 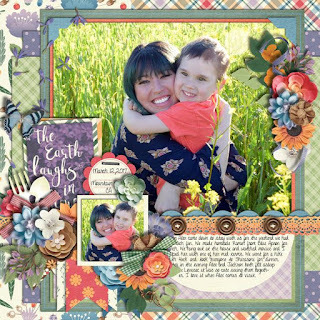 Some see a weed, some see a wish...when you see a field of blooming dandelions, what do you see? 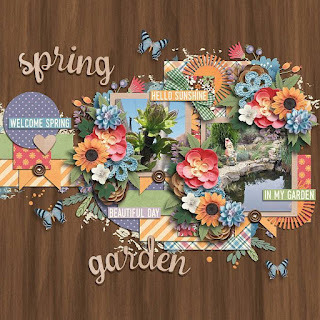 These unassuming little flowers may not seem much, but they always spell spring to me! 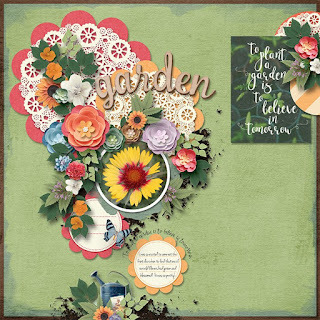 Soft and delicate, this kit is just like the flower it is named after.